NEW! Victims' Rights Amendment - Undying Will - "A True Survival Story"
There are too many statistics like these. I am only one advocate, think about this on a state level and then a national level! It is horrific and we cannot take the easy way and say it's the prosecutor's fault. We need to up the ante on Victim's Rights by stopping the bullying of Prosecutors and instead empower them to stand strong on this subject. Prosecutors must account to the victims as they pursue justice not only for that victim but for the rest of us so we do not become that criminal's next victim! Please write to your Congressman and get him/her on board to help victims fight for their rights. Scroll down to the bottom of the page to read the amendment. 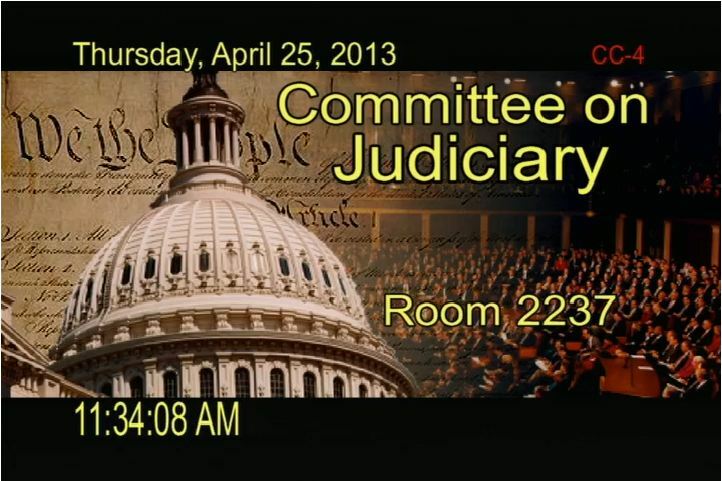 Click on the image above to view this incredibly important hearing. Donna Ferres ·This hearing should be heard by all Judges, Prosecutors and Victim Advocates. For every crime there is a victim. Both criminal and victim deserve equal rights within the Judicial Process. Just because the victim sits in the gallery doesn't mean they are any less a part of this process. Acknowledge to the Judge that the victim is present in the courtroom. This would be a good start. Click the logo above for the National Victims' Constitutional Amendment Passage (NVCAP) website. Click here to read the letter from Congressmen Franks, Royce and Costa seeking amendment co-sponsors. Find your Representative using the link above and then copy and paste (click here for help with on copying and pasting) the letter below to their email. We need as many letters as possible to hit their "in" boxes. Please share this with your friends, colleagues and family and ask them to help to. "Like" this page so all your Facebook friends will see it and ask them to help too!! You can make a difference - thank you! Congressmen Trent Franks, Congressman Ed Royce, and Congressman Jim Costa need your help in leveling the rights for victims vs the rights of criminals. I'm personally asking for your help. As a citizen and one who knows a victim of crime, I can respectfully say to you, that victims have no voice in the criminal justice system. Yes, Florida has a Victim's Rights Amendment, but, a huge but, try getting the Judicial System to acknowledge it! Prosecutors, Judges and even the Appeals court Justices favor the rights of the accused and leave victims in the dark and without a voice. Please, help by acknowledging innocent victims of crimes with balance and fairness. Contact Congressman Trent Franks and endorse this very important Amendment. Thank you for your consideration. Let's keep our streets safer by allowing victims a voice. I hope to receive a positive response on this issue. It would make all the difference to so many.